span style="line-height: 107%; font-family: 'Times New Roman','serif'; font-size: 12pt; mso-fareast-font-family: Calibri; mso-fareast-theme-font: minor-latin; mso-ansi-language: EN-US; mso-fareast-language: EN-US; mso-bidi-language: AR-SA;">Blogging is far from an outdated fad that came and went in the early 2000s. Today, a blog can set you apart from other internship candidates and can demonstrate how much you know about the industry you want to enter. Blogging about your current summer internship is a great way to create a personal brand that you can develop for years to come as your career grows and changes. Recessions arguably hit college students hardest. According to the Atlantic, citing economist Lisa Khan at Yale, college graduates entering the job market in a recession are paid up to 25 percent less. Even 15 years later, those graduates are paid an average of 10 percent less than luckier, boom-time graduates, and there is little hope of an economic recovery anytime soon. As companies start to rely more heavily on their internship pools to make full-time hires, they're looking for ways to better evaluate candidates and targeting younger students. A survey taken by CareerRookie.com of more than 2,500 employers across the country is showing that college students may have a more difficult time finding internships this year because of the competition created by an increased amount of unemployed workers looking for jobs. In terms of starting salary offers, there is a definite financial advantage for students who have internship experience, according to results of NACE’s 2010 Student Survey. 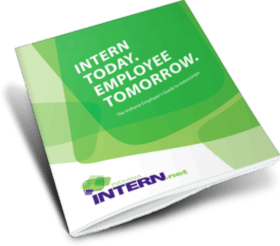 Overall, students in the Class of 2010 who had internships received an average salary offer of $41,580. Meanwhile, their classmates who didn’t take internships received an average starting salary offer of $34,601.